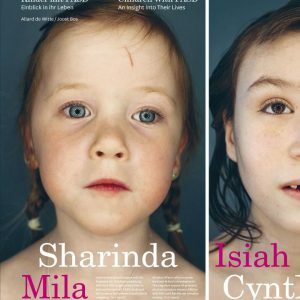 In the book Children with FASD – Kinder mit FASD, photographer Allard de Witte and journalist Joost Bos give a personal and affectionate insight into the lives of children with FASD – children harmed before they were even born. The book is a combination of both a German and English translation of the Dutch book FAS-kinderen and consists of 223 pages. It is a photography book, with many touching and amusing portraits and three short atmospheric stories about Isiah, Lorenzo and Mila. Also, in cooperation with several professionals, three chapters talk about diagnosing FAS, prevention and prevalence of FAS, and the public view on alcohol and the responsibility of society. FAS is when you’ve forgotten how to ride a bike once the school holidays are over. FAS is when you can’t learn to tell the time. FAS is not understanding the difference between good and bad. FAS is when your spontaneity knows no bounds. FAS is not knowing how to play with others. FAS is doing anything to get attention. FAS is the storm in your head. FAS is not having control of your life. FAS is being different. FAS lasts a lifetime. For The Netherlands and Belgium, the book can be ordered at a Reuring publishing. For other countries, buy the book below. If you would like to buy more books, contact us via info@fasproject.nl.